A number of courses are being held at Kielder Campsite. [For dates and other venues close by please visit Northern Wild's website] To find, please scroll down the page. Duration of visit: An enjoyable full day. Forage and Feast in Northumberland. As seen on Robson Green's 'Tales from Northumberland'. 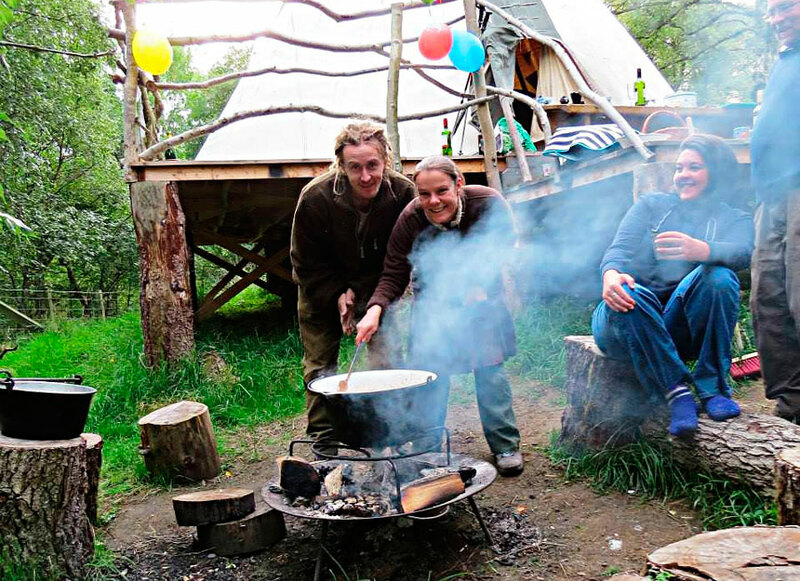 Linus and Louise offer a bespoke package where you are invited to explore the Northumberland countryside through a foraging day and find out what seasonal wild foods can be found. On one of their wild food forage and feast courses you can learn how to find, identify and prepare the many edible wild plants and mushrooms that Northumberland has to offer. Booking essential. Gift vouchers available. Course dates available on the website. Open 24/7 Accepts chip & pin payment only. No contact details. No cash facility.